Welcome to Matteo Graphics School Uniforms. Click on your school icon to view the current approved school uniform style. 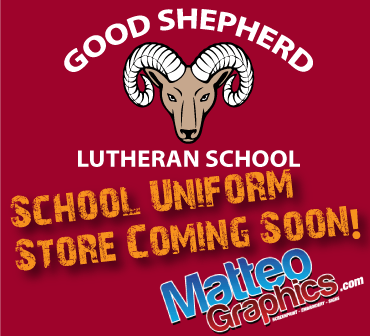 If you are a school and interested in our school uniform program, give us a call at 239-652-1002 we can sit down with you and explain how working with Matteo Graphics School Uniforms will be an easy transition for your school. Parents love that they have a showroom/retail store to come in and shop and try uniforms on before they purchase. Also, our on-line school store makes it easy to purchase and pick-up at our retail store location. We welcome you and Have a Wonderful School Year!